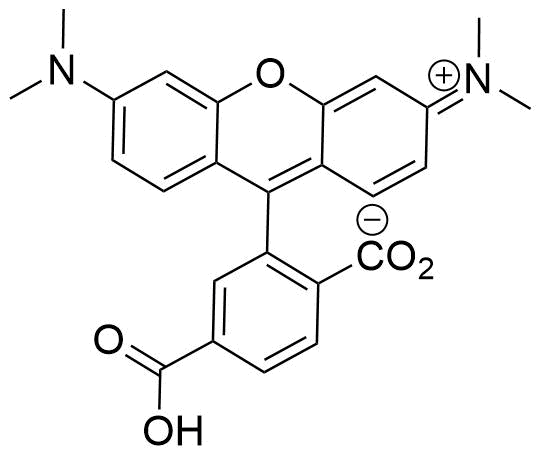 6-TAMRA Acid (6-Carboxytetramethylrhodamine) is a single, pure isomer of carboxytetramethylrhodamine (TMR) free acid. 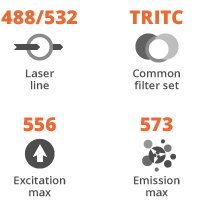 6-TAMRA conjugates emit bright orange-fluorescence and its excitation band ideally suited to the 532 nm or 546 nm laser lines. It has been used widely for preparing peptide, protein, nucleotide and nucleic acid conjugates, especially fluorescent antibodies and avidin derivatives used in immunochemistry. 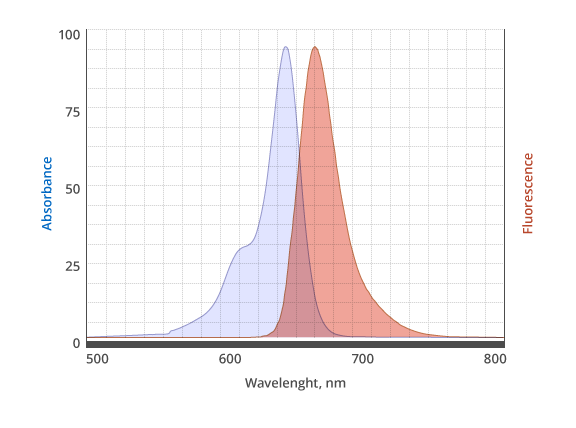 Although the mixed isomers of 5(6)-TAMRA Acid is a preferred, routinely used red fluorescent dye for staining proteins, labeling peptides and nucleotides, the purification of 5(6)-TAMRA labeled peptide and nucleotides might be troublesome due to significant signal broadening in HPLC purification. Peptides and nucleotides labeled with a single isomer TAMRA usually give better resolution in HPLC purification that is often required in the conjugation processes. 5-TAMRA is more often used for labeling peptides and proteins. 6-TAMRA is predominately used for labeling nucleotides and sequencing nucleic acids. An orange-fluorescent, water-soluble dye often used for modifying amine-containing molecules with AF 546 label.